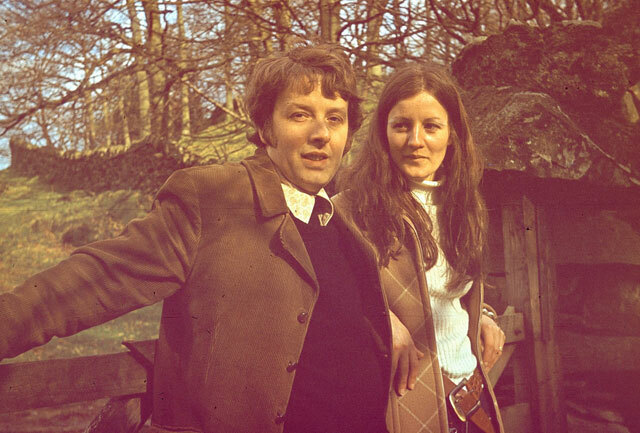 After scanning and digitising them, a whole range of photographs, mostly from the decade before I was born, can be enjoyed and relived all over again. This is the first time the images have been seen since the years shortly after they were created. The acetate slides have aged well. They have been locked in a time capsule. These moments. The cars, the clothes, the decades – all gone. Like my grandparents, some of the key players too. Shopping bags from stores that closed their doors for the last time long ago. My title, Shooting the Past, is lifted from Steven Poliakoff’s masterpiece. It’s an extraordinary drama that is a celebration of photography, and the poignancy of it, recognising the importance of capturing history and the mixture of pleasure and pain in being confronted with reminders of our past – whether immediate or shared. For my money, the rest of Poliakoff’s oeuvre is mostly self-indulgent, over-stylised pap: but in Shooting the Past he achieves greatness. We all feel it; the weight of time, pressing down upon us. The older we become, the heavier the weight. Like a deep sea diver clawing further into the darker depths. Moments from my early childhood I thought I’d forgotten. But it was somewhere there, rattling weakly around my synapses, needing a visual clue to push it to the forefront of my mind. These photographs bring them back to life. My mother’s Beatrix Potter summer hat. When did I last think of that? 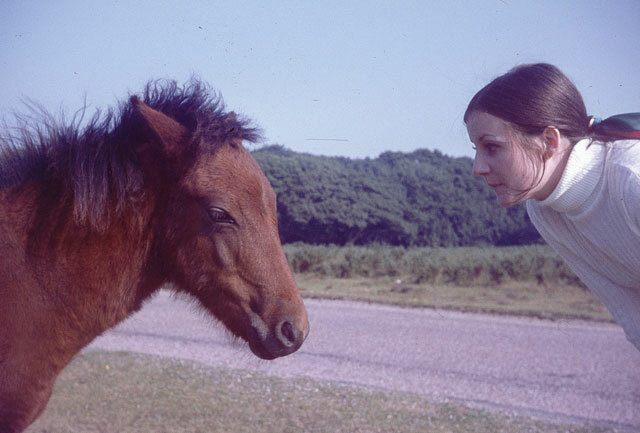 Mum and a wild horse. My parents’ wedding day. Which looks on my laptop screen as if it could have been yesterday. The bright colours and crispness of the image and the high resolution defy the four decades that have been chiselled away since. A family friend, recently seriously hurt in an accident, looks on, the height of health. About my age now. A day I’ve heard a lot about: learnt stories from. And so I formed my own ideas about it in my imagination. I like its elegant simplicity. Ahead of its time. Everyone has mucked in. There’s food and drink for all tastes, and no excuses for not having a good time. It’s a party. Tramp. Much adored dog. Enjoying herself in summer, ’75. My grandparents’ dog, Tramp. Elderly, when I knew her. Cute. Easy-going. Patient with a boisterous child. 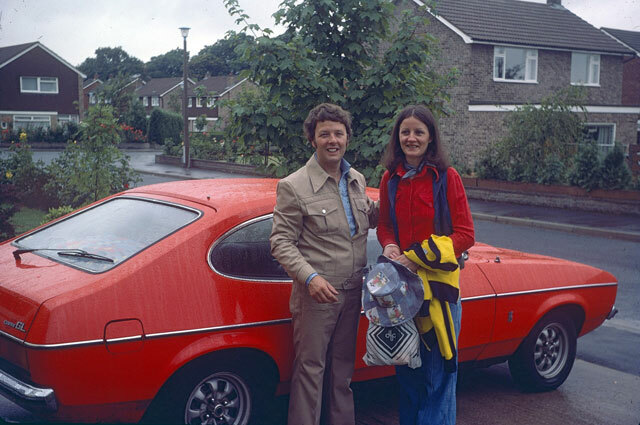 Here she is, in her pomp, in 1975, before I arrived on the scene. 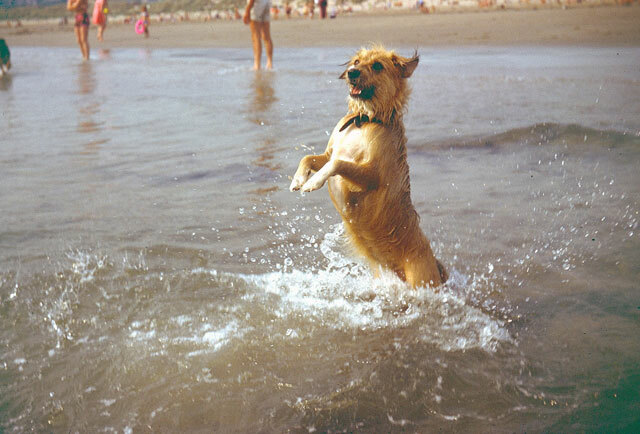 So full of life, and energy, enjoying a day at the seaside. I’d never seen a photograph of young Tramp before. She died at a ripe old age in the late 1980s and I was very sad. I remember her smell: a real old dog smell, but comforting. Homely. The first holiday I ever took. Menorca. Summer 1980. I was two years old. 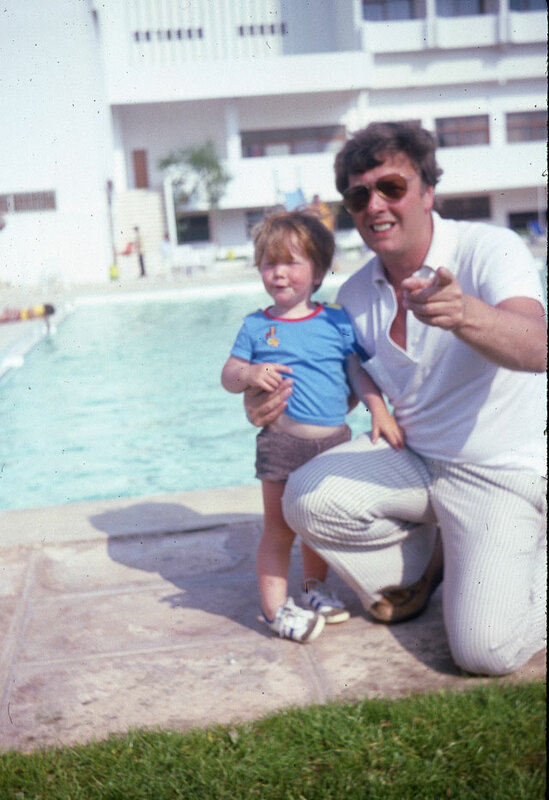 Here I am with my dad. He’s trying (failing) to direct me to look down the lens. I remember nothing of the holiday, and nothing of this moment. But I’m grateful for it, so pleased an echo of it still exists. So I can look back and see my early life. Weeks go by. Months even. And we leave no trace. The really amazing thing is that photography has only been around for under two centuries. Although in every generation, there are those few who live to a ripe old age. There are images of our ancestors who were born in the mid-Eighteenth Century, who perhaps lived during the reign of George II. Yet there they are, captured in a moment in time in the first part of the Nineteenth Century (when, indicentally, did we stop capitalising the centuries? I still do). Half a century later my step-grandfather would be born. That was a few months after the death of Queen Victoria. Our lives are fleeting and the few decades we have to play around with are pitifully short. We make sense of our lives through our past. Photographs are the most direct way of capturing a single moment in time. Fossilising it. Rummaging around in our past is a privilege. It’s been a great joy being able to see something of my parents’ history, and wonder what the stories are behind so many of the pictures. 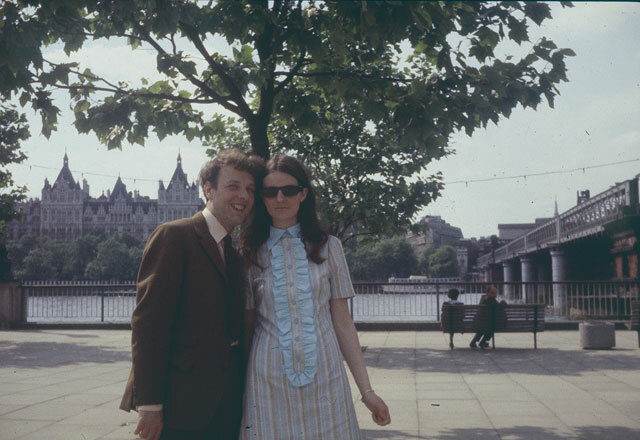 My parents in London. Probably late 1960s. And here’s an important thing. Don’t ever refuse a photograph. We all take the present for granted, because it’s all we have. But how quickly it becomes the past. And those who come behind us will want to remember. So don’t worry what your hair looks like, or concern yourself that you look fat, or spotty, or tired… Photographs are not for you. They aren’t to indulge the photographer either. They’re a means of preserving something of ourselves and our shared history, and a method of offering our descendants a means to understand who we were, and why. The worst thing you can do is to take away that privilege. If you ever don’t want to have a photograph taken, ask yourself: will this photograph exist thirty years from now? If so, who will be looking at it? All things considered: does it matter if you’re running on empty at the time it’s taken?